Post subject: Re: The Community Plate - How did Obi Play? John Obi Mikel 5: Also went Awol when Ivanovic was dismissed and was anonymous in the second half. Will be a surprise if he starts at Wigan next weekend. Another player to ponder for Di Matteo. The reason why I stopped supporting him...his apparent lack of desire to better his game. 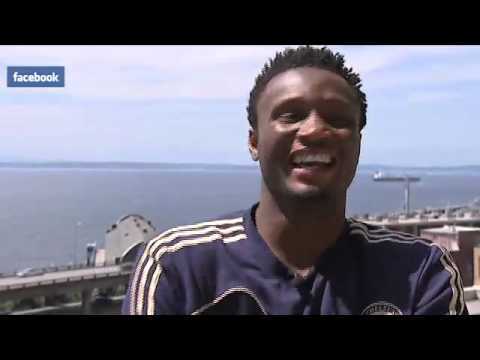 Questions from WYC 05 for una wey wan make Mikel be JJ..
1. How often did Mikel dribble the defence? 2. How often did Mikel take shots on goal? 3. How many goals did he score from open play? 4. What were his strengths and weaknesses from that tournament???? My broda, the thing done tire me. I don't know which Mikel they watched win the silver boot in Holland'05. From the very first game I watched, I noticed he was not an attacking midfielder in the mold of JJ or nwosu or any of the past SE attacking midfielders (and mentioned this on a thread 2 yrs ago - i no get time for research). The kid likes to sit deep - just in front of the DM and string passes from that position. Every once in a while pushing forward to join the attack just outside the box. He never did a lot of running and certainly took like close to zero shots on goal the entire tournament. Yet, he was voted second best. What did the voters see? What did manU & chelsea see? What has Jose seen? When I see learned folks like Enugu talk about Obi's skill set in the same context as JJ, I am befuddled. Did we watch the same WYC tournament. The same Obi that virtually lived beside Kaita, sending long balls down the flanks. Barely got into the opponents 18. When RDM is ready to play attacking football he will move his defence a bit higher up the pitch... You don't expect mata to get the ball just outside his own 18 yard and go on a mazy run same as hazard and Torres. Yes, I saw that. Kinda premature though. He did not have a great game, lost the ball three times at least but also made some tackles, passes and blocks and played 90 minutes. While it was a trophy match and should be taken seriously it is still early in the season. All told would never go by ratings to know how Mikel plays...I believe he plays much better than they rate him. He did run at the opposing defnce in 2005 with the FE and later with Lyn Oslo. More importantly he showed a passing range, even from deep, that directly influenced the attacking game. How is our guy looking for this years Community Plate? The Community Plate dey come again, and Chelsea no dey am this year. But Musa go dey. Wetin Musa go do for that day? Im go fit carry that plate and use am swallow eba, or Manchester United go send am to wash plate like house boy? Obi no dey, but Moses dey. Player ratings please. What of Iwobi? or its about Chelsea Naija boys?